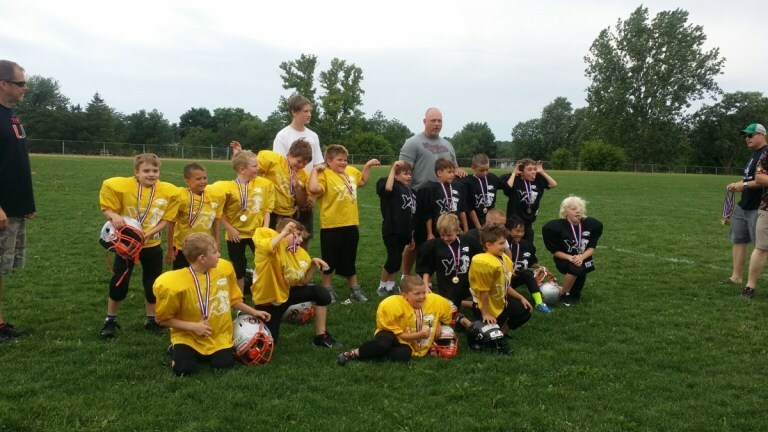 The Lions Development program runs during the spring months (April, May, June). It is a development league for boys and girls born 2007 to 2011. It is designed to teach and develop the fundamentals of football for new players and to refresh and enhance the skills of returning players. It is a skills development league first focusing on safe playing techniques and equal playing time for all players. Above all, it is FUN. Players can learn and develop new skills, make new friends, improve their physical fitness, and enjoy the football experience. Using a 6 on 6 format with a focus on learning individual skills and positions, players are provided with the opportunity to learn in a fun and non-competitive atmosphere. Drills are performed with and without equipment, to ensure all players understand movement fundamentals prior to receiving equipment. All equipment needed to play will be loaned to the player for the season (except cleat shoes). Players who excel and enjoy the Development program may be interested in joining one of our competitive teams. If your Lion isn't challenged, please speak to one of our board representatives at an upcoming session.